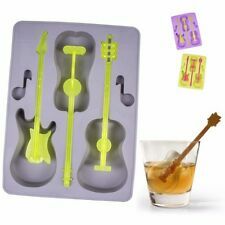 Guitar Ice Cube Mould. Silicone Tray With Plastic Guitar Handles. Tray Size : 20cm x 15cm x 2cm. Colour Provided May Vary. Kitchen Craft rabbit shaped jelly mould Strong plastic material With a handy hanging loop Colour: White Size: 600ml capacity . MADE FROM A LIGHT GAUGE OF COPPER AND THE BOTTOM HALF IS SLIGHTLY OUT OS SHAPE BUT BOTH HALVES FIT SNUGLY TOGETHER. WOULD ORIGINALLY HAVE BEEN TINNED ON THE OUTSIDE BUT THIS HAS MOSTLY BEEN REMOVED TO SHOW THE COPPER. Great terrine moulds -. For set terrines like ham hock just fill the terrine and top with hot jelly. For cooked terrines if you have a combi - set at 75oC core and temp at 85oC dry and these are reusable. For sale is a glass rabbit jelly mould measuring; 21cm long, 12.5cm wide, 10pm high (overall sizes not internal measurements) This item is in good condition with no chips or cracks. Your item will be well packed, sent the next working day and signed for delivery. Grab a bargain and thanks for looking. Earthern ware salt glazed jelly mould. flowers and leaves. Lovely jelly mould. Not sure of age but at least 60 years old. Small line on edge see photograph please. 7 1/2 inches acoss widest point. 3 inches high. Stamped ‘British Ma ke ’. In excellent condition - just a few tiny nibbles out of the inner rim. Set Of 6 Traditional Shaped Jelly Moulds. Seat mould is approx. 2" tall with an internal width of approx. McGowans Market. Marked Late Foley/Shelley on the outside. 7.5" x 5.5" x 3". A lovely thing from a bygone age. Here are some Retro Jelly Moulds. These are moulded in plastic. The red examples 6 inches long and three inches deep. The smaller ones (3 x white, 1 x light blue) measure 3 inches long and 2 inches deep. Bundt Ring Cake Mould. Lightweight Tin Bundt Ring. Copper colour tin. Sterilised for use and intact for display. 4 small moulds are 1950's - 1960's. Perfect for Easter! in the shape of Bunny Rabbits/Hares. Lovely jelly mould in shape of a cat approx. A good collectors/decorators piece or for practical use. Vintage White Pottery Jelly Mould With Unusual Smiling Face. Printed base marks. Measures approx; 5 inches tall by 6.5 inches diameter. Includes U.K. delivery. Global shipping is available. Cash on collection welcome. Thank you for viewing. 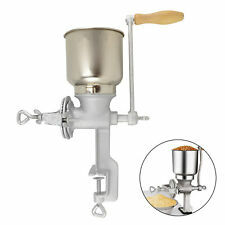 This allows you to make different flavours and ensures you know which is which. Once you've made your jelly, simply remove the top and base and gently easy it out onto a plate and serve up to friends and family. 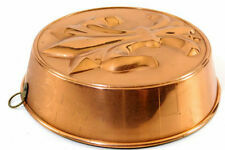 ANTIQUE TROTTIER PARIS COPPER JELLY MOULD. Colour May Vary. Made From Flexible, High Quality Silicone. Because these are smaller, they are also used for flavoured butters which can be chilled and moulded (ideal for serving on steaks etc). Very good for fine dining garnishes, sweet or savoury. With leaping fish detail. nice strong copper jelly mould. T G GREEN MOUSSE OF ALMONDS RECIPE MOULD. AN ANTIQUE STEEL CHOCOLATE MOULD TO MAKE FOUR BARS OF CHOCOLATE EACH WITH A DIFFERENT WILD ANIMAL DESIGN BY ANTON REICHE, DRESDEN PATTERN NUMBER 64 - 75. IN GOOD CLEAN ANTIQUE CONDITION. It has a tiny chip on the outside base as shown in the photo. Vtg Retro Orange Plastic Rabbit Jelly Mould 70s Kitsch Dessert Party. Condition is Used. Dispatched with myhermes. Good used condition. Measures 18.5 x 9.5cm. From a smoke and pet free home. Free postage to mainland UK or Ebay Global Shipping Programme only. WITH A TINNED INTERIOR READY FOR USE, SIZE = 10" x 7 1/4 " X 1 1/4" DEEP. WITH A TINNED INTERIOR READY FOR USE, SIZE = 7 1/4" x 4 1/4 " X 3 1/8" DEEP. Victorian Copper Jelly Mould by Jones Bros, monogrammed. A Victorian Copper Jelly Mould by Jones Bros, monogrammed with the letter 'T' and stamped with 274. Condition is very good with minor dents and scratches as is to be expected in a jelly mould of this age. 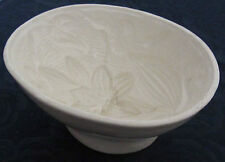 Size is: 12cms across base x 12cms high approx. Please look at all photos as they form part of the description. Jelly Mould. Condition is Used. No cracks or chips. Please see other mould. Happy to combine postage. The reg: design number is on the base 803268. 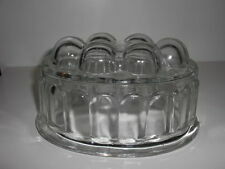 This is a 1935 Turtle jelly mould made by Canning Town Glass Works in England. Made in pressed glass so there are straw marks. Large 22cm long and 13cm wide medium14cm long and 9cm wide small Tin 11cm long and 7cm wise Rabbit Jelly Moulds Glass Tin X 3. Condition is Used. Dispatched with Royal Mail 2nd Class. For sale a vintage chocolate chicken mould,heavy aluminium,size 7cm h 9cm w 4.5cm d external approx,nice detail and aged look,old see pictures for further details. PLEASE DO NOT HESITATE TO CONTACT US IF YOU REQUIRE FURTHER INFORMATION. COLLECTIONS ARE ALWAYS WELCOME BY ARRANGEMENT FROM THE DUNSTABLE ADDRESS. MANY THANKS FOR LOOKING, Please see my many other interesting items listed, New stock arriving every week. French Antique Jelly Mould & wall Mounted Shopping List. Condition is Used. Dispatched with Royal Mail 2nd Class. Set if 3 antique Copper Moulds 4.5cm x 5cm Condition is Used. Antique Copper Mould in the shape of a peach. Comes in two parts with supporting base. 7cm x 8cm approx. Condition is Used. A LARGE CERAMIC HEART SHAPED JELLY/BLANCMANGE MOULD. FITTED WITH A HOLE FOR HANGING. 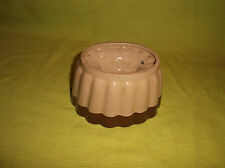 Vintage Helpmate Alluminim Jelly Blamonche Mould. Lovely vintage condition. 1 pint. VINTAGE JELLY MOULD STICKS OF ASPARAGUS YOUR GUESS MINTON. As shown, in quite good condition. Believed to be Minton. Pattern appears to be sicks of Asparagus tied together. Note mark and pattern number in photo 3. Collectable jelly moulds are a simple way to make your desserts decorative and impressive. Decorative jelly moulds have been in fashion for many years, with some being up to a century old. These days' jelly moulds come in several different materials and shapes which are sure to please collectors and jelly eaters alike. Older jelly moulds are made of copper, glass or china. The copper jelly moulds look particularly good when hung on your kitchen wall, so don't hide them away in a cupboard. 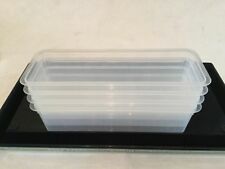 Modern jelly moulds are usually made from sturdy plastic. Glass and china jelly moulds can be traditional embellished round shapes with ornamental features such as ridges, small domes, or sandcastle shaped designs. 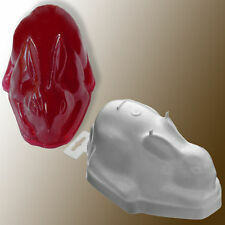 Many have whimsical designs such as fruit shapes or animals, with the rabbit shaped jelly mould being especially popular. With Halloween having increased in popularity, many ghoulish and macabre jelly mould designs are available. 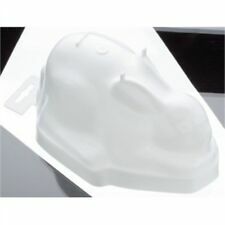 These are usually hard plastic moulds and can come in the shape of body organs such as hearts or brains. They look particularly effective when made with authentic looking colours such as red or purple jelly. As well as the decorative aspect, which makes jelly moulds fun to display, they can be used for other food related purposes. Smaller jelly moulds can be filled with ice and frozen to make decorative ice sculptures. Jelly moulds can also be used for milk based desserts such as blancmange or crème caramel. Whether they are made from plastic, china, glass or ceramic china, your jelly mould will be able to withstand the heat of hot jelly mixture as it is poured in. However, it is not advisable to use jelly moulds as ovenware as this could damage the mould and your oven. Jelly moulds are suitable for refrigeration, but check its suitability before putting it in your dishwasher.